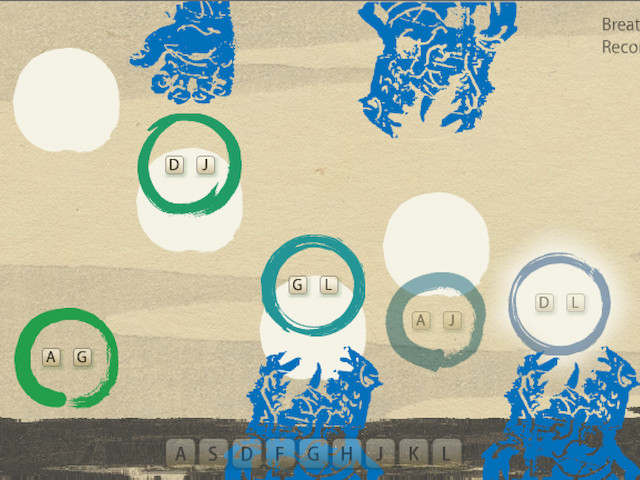 Coral is a meditative, instrumental, flash game centered around balancing a set of enso circles at various heights. 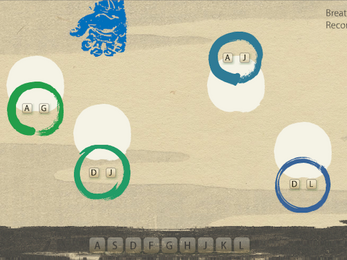 Players can "sing" to a circle, raising it, by pressing a unique combination of two keyboard keys. However, the letters needed for each circle overlap, causing a unusual array of keys the player must press or not press, to adjust the circles to the desired heights in perfect harmony. It began as a 48 hour jam game at the Babycastles X Parson's jam, where it took home the Judge's 1st Prize, and I continued to work on it for several months in free time afterwards.